You may need to work with Sequence files generated by Hive for some table. Let’s see how we can deal with such files in Spark. As you see an uncompressed SequenceFile looks like a regular text file, only a new Key field is added and it stores a NULL value. Note that if the directory contains multiple SequenceFiles all of them will be added to RDD. 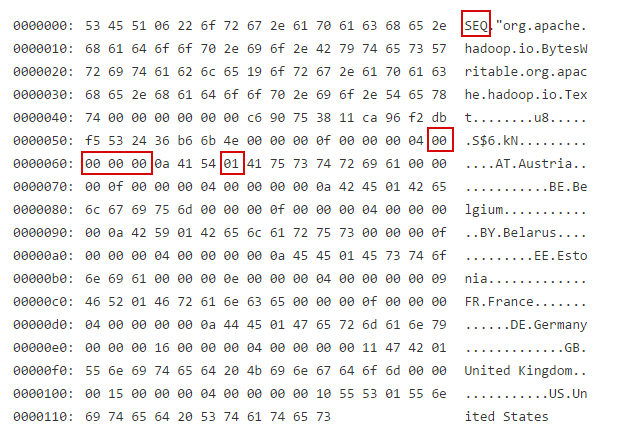 Once you transformed SequenceFile RDD you can use its data in reduce and group by operations as well as map-side joins.